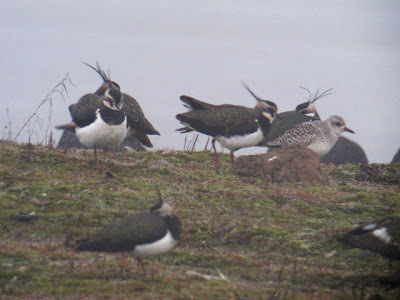 Bill Aspin's Birding Blog 3: Local patch: Grey Plovers - Brockholes NR LWT, Lancs - 6th Feb 2012. 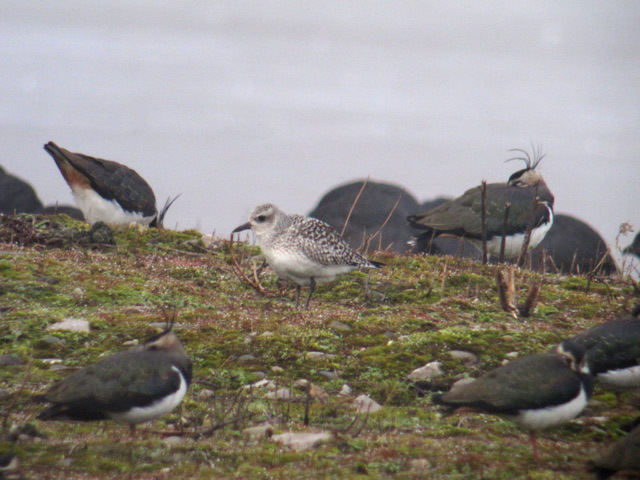 Local patch: Grey Plovers - Brockholes NR LWT, Lancs - 6th Feb 2012. The past week has seen some obvious cold weather movement sightings, including a grounded flock of feeding Golden Plover on the adjacent floodplain which is a rarity at Brockholes. 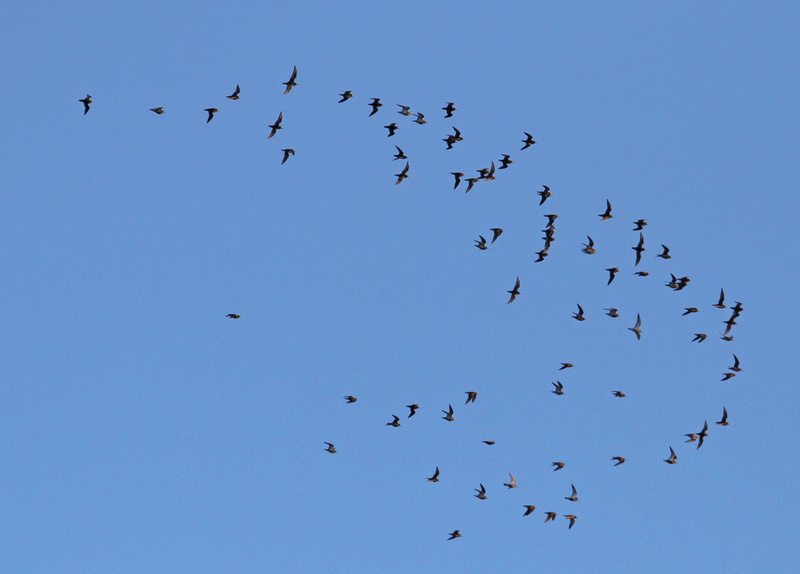 Numbers of grounded Golden Plover peaked at 23, but today I had a rather whopping flock of 79 over the site. Most unexpected in this cold weather movement though has been the WINTER records of Grey Plover, unprecedented at the site in the period Aug 1998 - Present. As if the first ever winter record on January 31st wasn't noteworthy enough, the events of today would have been outstanding for Grey plover records in Spring or Autumn, never mind early February! I arrived onsite in the fog and was only able to see the ghostly shapes of a few Lapwing on No1 Pit island and a few Gulls. After thirty minutes of futility the fog began to dissapate and a robust Plover could be faintly made out amongst the increasing number of visible Lapwing. It had to be a Grey, and so it proved. The day had turned into a stunner, with glorious blue sky, so I made my way to the 'East Bank' (every patch should have one!) 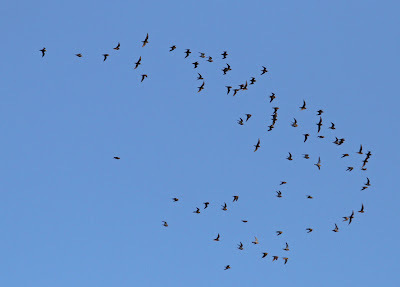 to check whether the grounded Golden Plover flock was still present. 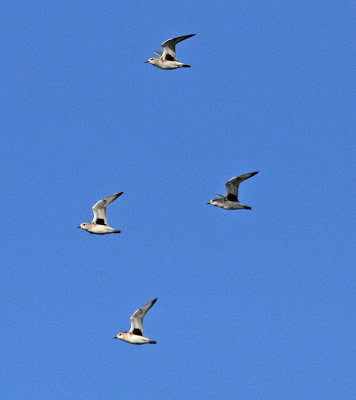 A scan across the river with 'Bins' initially revealed nothing, then in the furthest field four Plover were noted, feeding close against the furthest hedgerow. Expecting Goldies, I was amazed to see four Grey Plover through the scope! The birds fed for a few minutes more until flushed by a Crow and they did a nice flypast in good light as they flew onsite and onto No1 Pit island where they joined the single Grey. Five is a site record count. 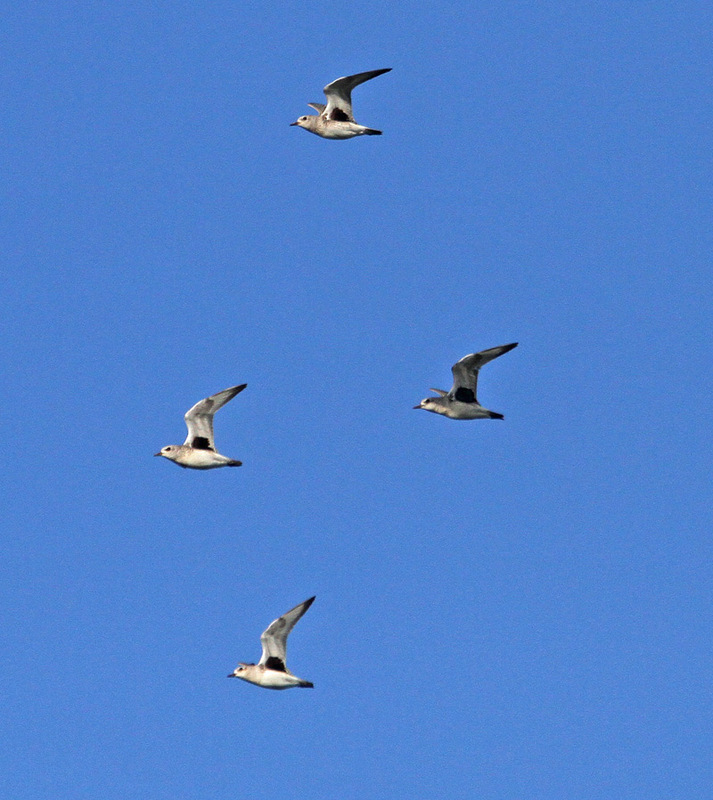 Above & below: Grey Plover. Local patch: Brockholes NR LWT - 7th Feb 2012.